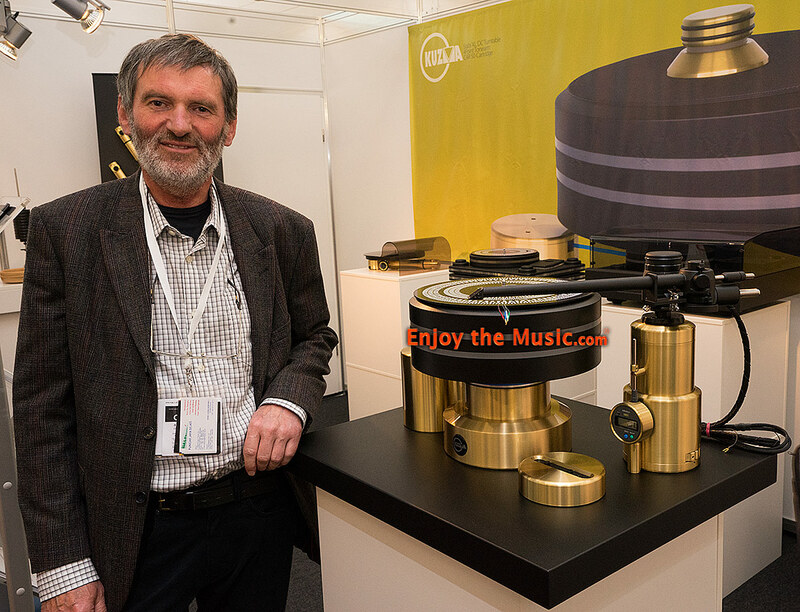 Kuzma's new Stabi XL DC (�24,000 without tonearm) has a new and improved motor and belt from their previous designs. The motor has gone from AC to DC in design to better ensure speed stability of the rotating platter. The same goes for the belt design as the goal is to keep the platter spinning as quietly as possible and at a constant rotational speed. The tonearm seen here is Kuzma's 4Point 14" tonearm that has a 14" long tube. With an offset angle of 15.20 degrees, this new tonearm has an effective mass of 19 grams and does provide VTA (vertical tracking angle) adjustment and azimuth / bias adjustment too. The 4Point 14" tonearm also has special Vertical and horizontal damping to keep unwanted vibrations from interfering with the preciously small output signal of the phono cartridge. With the detachable headshell you can keep an extra headshell, or two, at the ready to enjoy a dedicated mono cartridge at the ready or another stereo phono cartridge as desired. Getting back to the Stabi XL DC, it differs from previous Stabi XL, XL2, and XL4 turntable by using a very special DC motor and power supply. The carefully precision-machined plastic belt gives a new, unique, and uniformly precise drive to the platter. bearing, which together with a ruby ball bearing, is lubricated in an oil pool to provide a single-point contact. The platter assembly weighs over 44 lbs. and the overall turntable base weighs in at over 55 lbs. 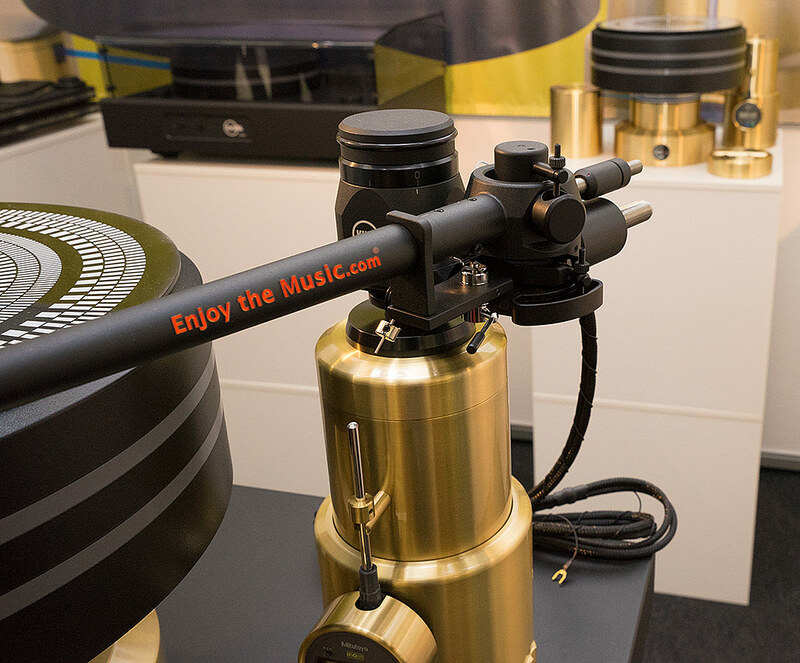 ---> Back to main HIGH END 2015 show report page.